Kate and Jim don’t know if the lasers hit or not. The Chinese vessel went into the Time-Vortex Tunnel twenty minutes ago, just past midnight, Greenwich Time. The other eight of us demanded an explanation. Bree screamed at them both until Alex calmed her down. Jennie was pissed too, but she was asking more pointed questions: How did we miss something like this? Why risk another war? The answers were simple because the military’s orders were simple. If we were to encounter an Eastern Coalition vessel attempting to enter the Alpha Centauri Tunnel before we did, they were under orders to destroy it. No mean feat considering there have only been two space battles in the history of mankind. This makes three. I’m living history. I did ask two questions, the easiest ones I could think of. What now? Do we beam a message to Luna and ask for instructions? Kate informed me that there would be no beams leaving the Icarus until we reached Alpha Centauri. In that answer, she answered both of them. We’re going on ahead. This sparked more argument and I thought Bree was going to cry. She’s a pacifist. During our training I discovered that she helped with the Ecological Fallout Repair Initiative back in ’78. She must have been a college student then. It’s a brave thing, going to that barren, irradiated country, trying to regrow life. I meant to ask her about Siberia and if someone was still there, but I never did. Better that I didn’t. The fight ended like it began, explosively. Kate restrained her and Jim ordered Kira to dose her. When she hesitated, he did it himself, only he didn’t use an injection gun. I began to wonder if there are hypnotic monitors in our rooms, because we could use them now. Dissent this early doesn’t bode well for our decade-long jaunt. But we’re going in. Really going in, despite everything. Never mind Bree’s hysterics and our anger, or the Chinese ship that had beaten us there. We were going in anyway. Jennie explained something to me then. With the Chinese ship jumping nearly an hour before we do, it would reach Alpha Centauri almost six months ahead. It might well be gone by the time we get there. I hope it is. I didn’t sign up for a combat tour. We’re headed for the Cans again. 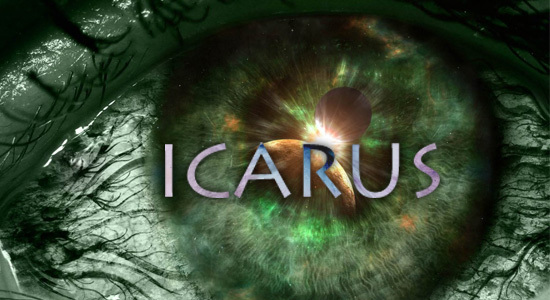 The Icarus will be at full burn for nearly the whole trip. Jim thinks it will help us overtake them. Evan’s reply didn’t make me feel so confident. He wasn’t sure the ship would react well to burning while in the Tunnel, but there was nothing for it. We’re going in, and we’re going to sleep. I’ll be glad to wake up after that’s over. Hibernating is better than boredom. Still, if there is a God out there, I sure hope he knows something about biology. I don’t want to come out of hibernation too early and drown in red syrup. If I do, die that is, and this log reaches Earth, please do me a favor. Find Sarah Boer in the EFRI and tell her I’m sorry. This entry was posted in Icarus, Original Fiction, Science Fiction and tagged Alliance, Alpha Centauri, blog fiction, Can, Earth, goop, Icarus, Luna, Mike Kern, Science Fiction, SciFi, space, Time-Vortex, Tunnel, William Shriver, writing. Bookmark the permalink.